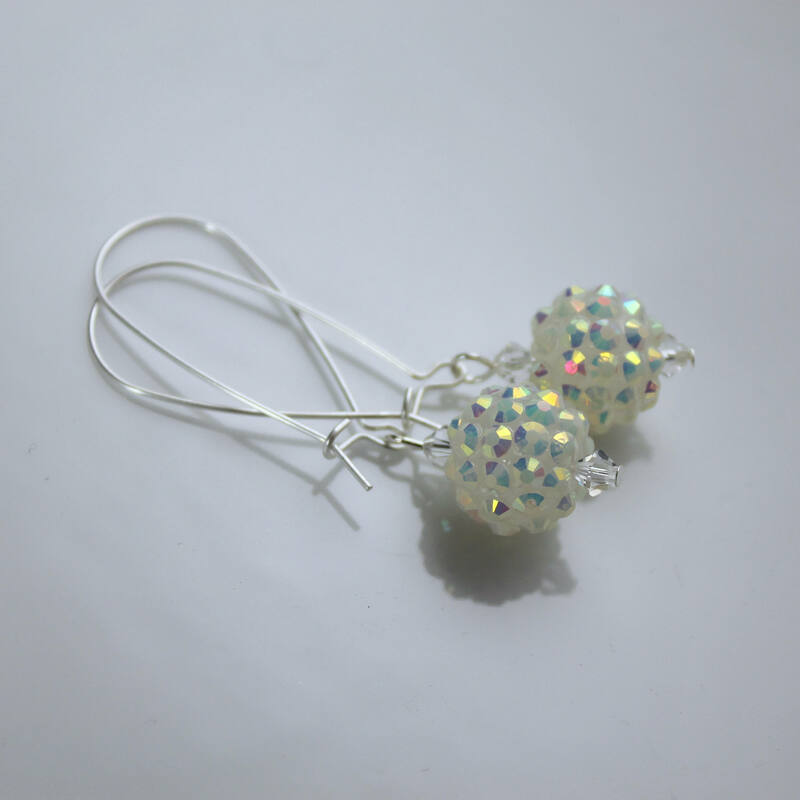 PLEASE NOTE: This listing is for ONLY 1 pair of earrings. 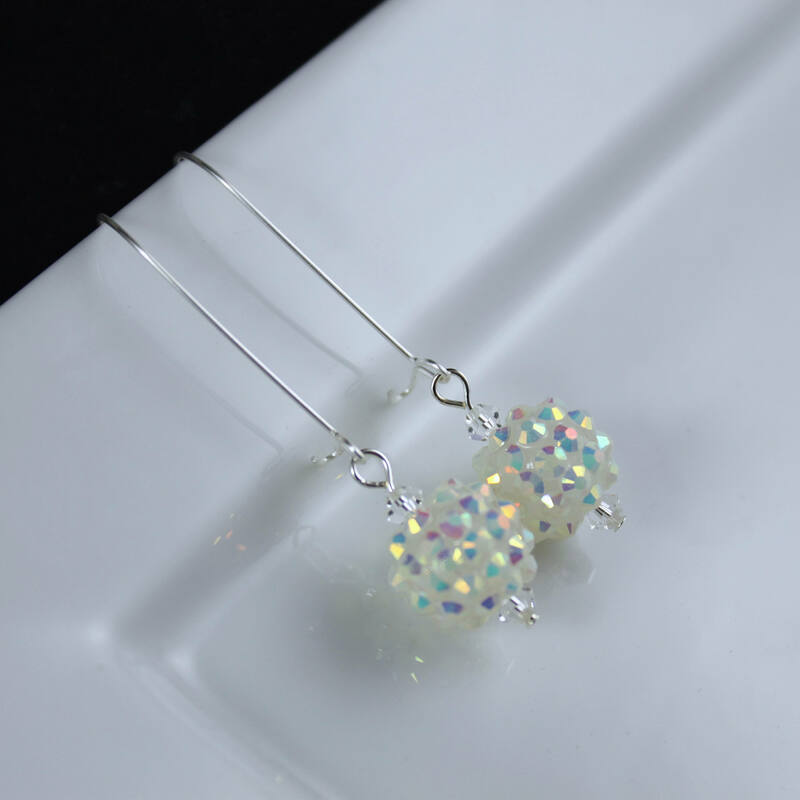 Main image only shows different metal finish options. 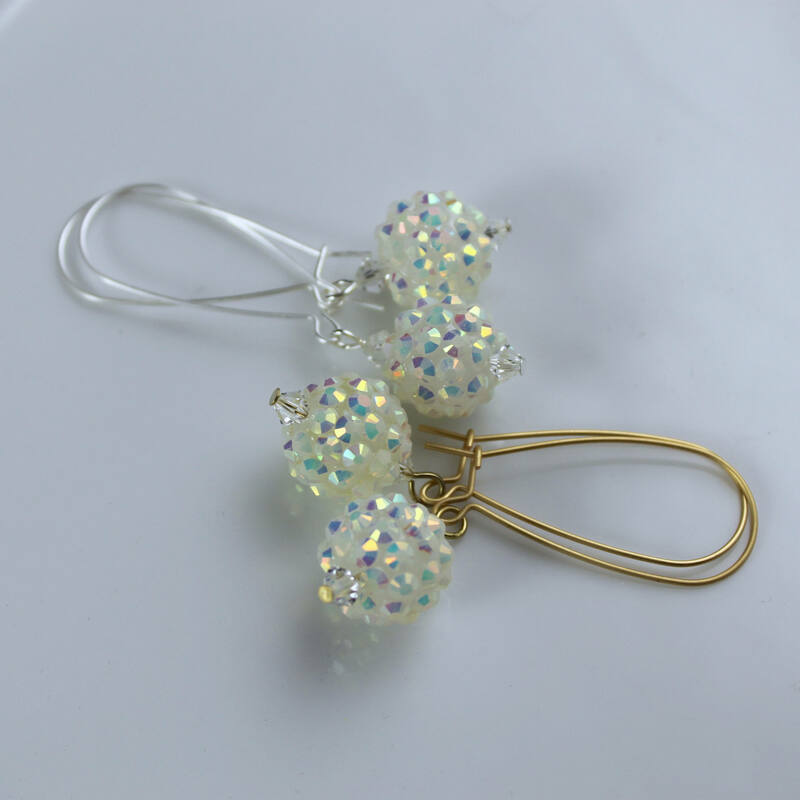 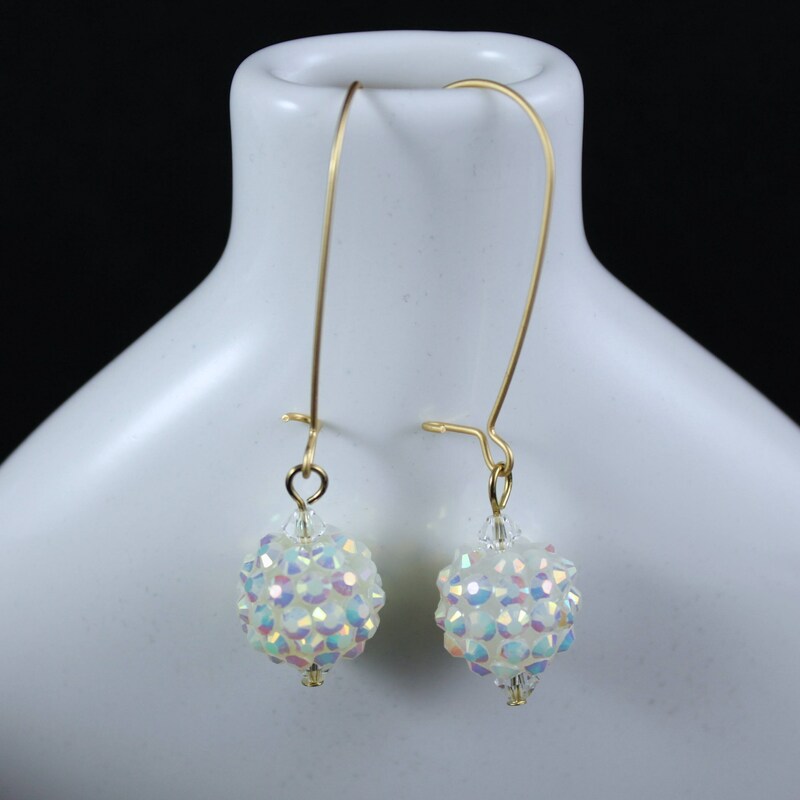 Earring Ingredients: A beautiful cluster of 6mm milky vitral Swarovski Crystals afixed to a round bead, creating an eye catching ball of light, suspended from elongated fish hook ear wire. 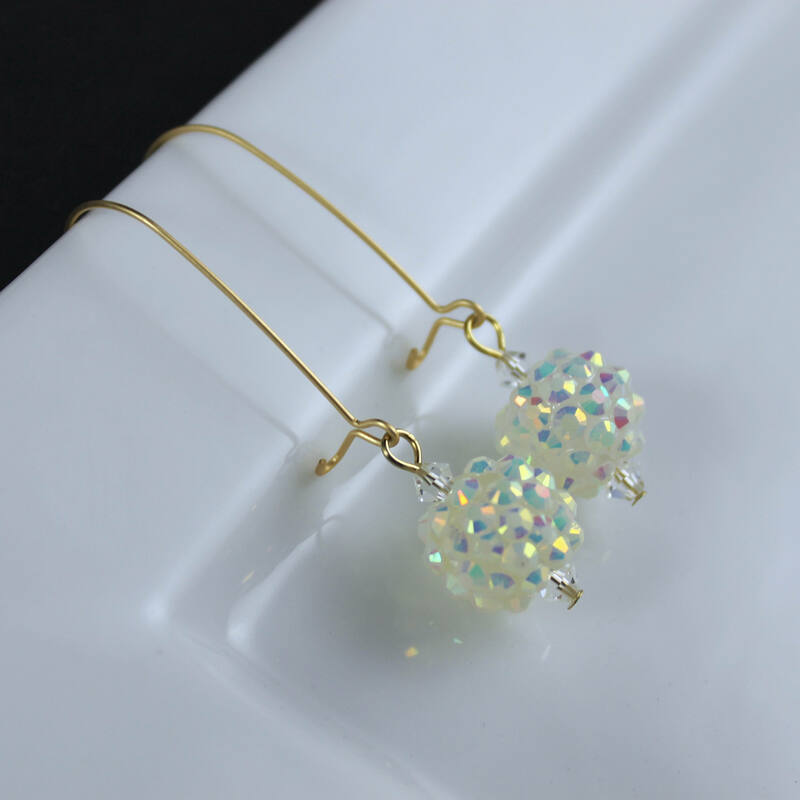 Earrings are available in either gold vermeil or sterling silver ear wires. 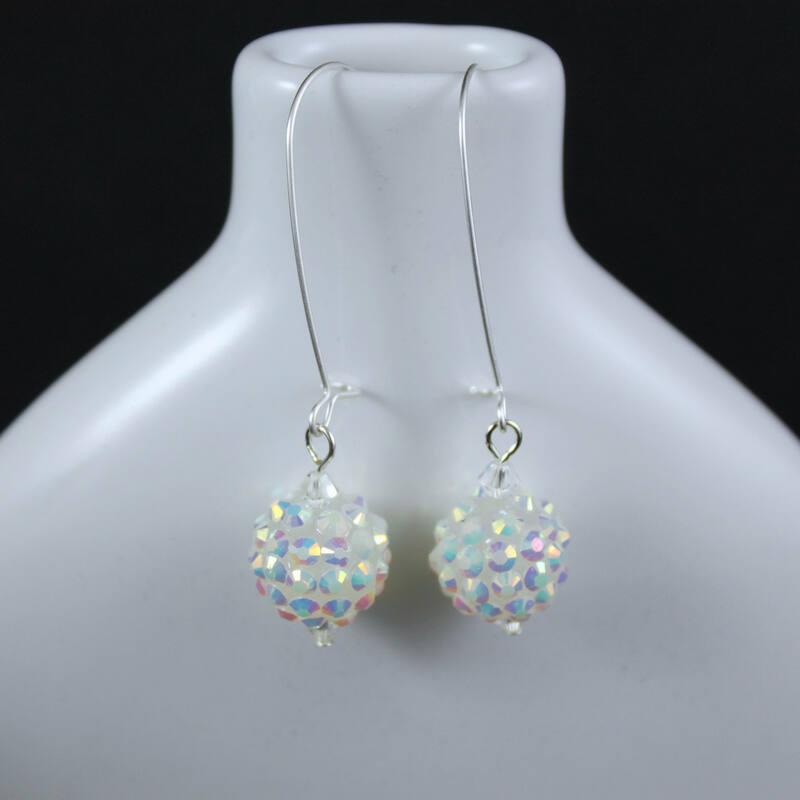 Earrings are approximately 2" from end to end.